Below are tips on relocatioing to Toronto taken from moverDB.com, for the orignal article, click here. Toronto is by far the largest city in Canada. It is considered to be one of the most culturally diverse cities in the world, with over half its residents being born in other countries. This vibrant city has lots to offer anyone who decides to make it their home. The various costs listed below will help you make an informed decision on what costs are involved when moving and living in the fourth largest city in North America. Population: 2.81 million (2016 estimate), 5.5 million in the metropolitan area. Official Language: English (de facto) with at least 200 languages being spoken in schools, including French, Urdu, Spanish, Punjabi, Bengali, Russian and many others. Film Industry: Toronto’s film industry employs 28,000 and generates around C$1.5 billion annually. Below are some sample 2018 container shipping costs to Toronto from other major world cities. Just keep in mind they only reflect the shipping portion of the cost and not the full moving costs. You can save money by comparing moving companies using our moving quote form above. Compared with other major cities in the world, house and apparent prices in Toronto are reasonable, although have been increasingly rapidly lately. Prices obviously vary from area to area but the figures below will give you an indication of what’s available at what price. This is how rents in Toronto compare with other cities around the world (as of 2018). Share a flat or house: Toronto is a city with many options for house or apartment shares. Have a look at the following sites to find house or roommate which suits you – Easyroommate, Toronto Roommate, Downtown, Craigslist and Metro Roommates. 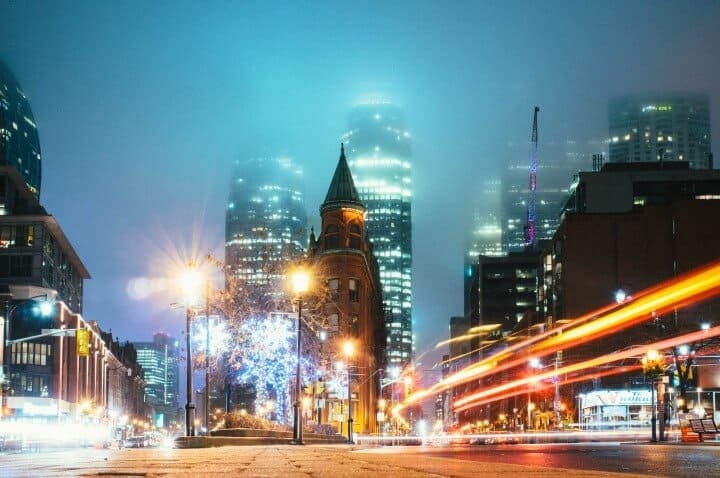 Different areas – different prices: Like all cities, Toronto has its desirable areas and less desirable areas and obviously, the rents reflect this difference. Toronto has a staggering 140 different neighbourhoods each with their own pluses and minuses (Toronto Neighbourhoods). Downtown incorporates Old Town and is full of character. It has some amazing new apartments and condos but they come at a price. The Beaches is an upmarket area on Lake Ontario. It’s close to the business district and is popular with families. Allenby and Don Mills are reasonably priced for purchasing but rentals are difficult to get. Yorkville is one of the most affluent areas and sought after areas. 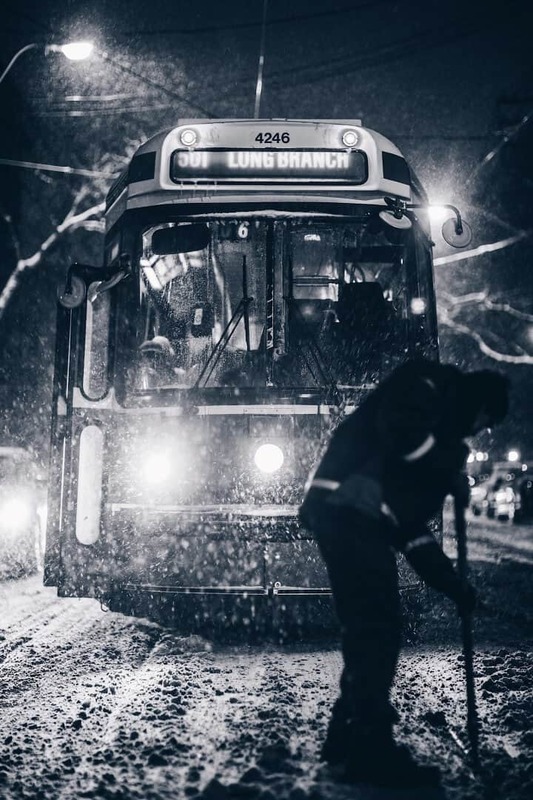 Have a look at Toronto neighbourhoods for an in depth look at all the different living spaces in Toronto. Toronto has some excellent restaurants representing food from around the globe. The city is also proud of its fresh produce and this adds to the city’s reputation for producing good food. This is how restaurants and food prices compare with other major cities in the world. New York restaurants are 50.38% more expensive and groceries are 51.84% more expensive than Toronto. Los Angeles restaurants are 23.55% more expensive and groceries are 9.85% more expensive than Toronto. Sydney restaurants are 7.07% more expensive and groceries are 8.60% more expensive than Toronto. London restaurants are 39.23% more expensive and groceries are 9.18% more expensive than Toronto. Paris restaurants are 33.69% more expensive and groceries are 16.21% more expensive than Toronto. Dubai restaurants are 0.23% cheaper and groceries are 16.20% cheaper than Toronto. 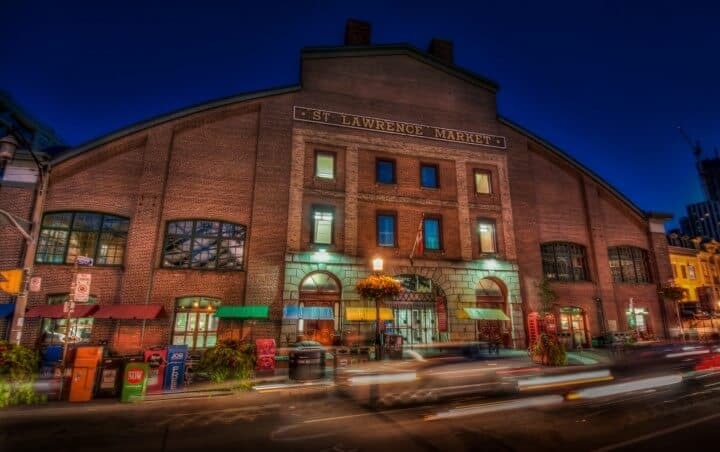 If you love markets, then go to Kensington Market and St. Lawrence market and enjoy the fresh fish, fruit, veggies, spices and much more. Toronto has an excellent selection of bars, clubs and restaurants. There is something to suit everyone’s taste and pocket. The following is a list of basic prices of beer and wine from the supermarket and restaurants. Keep an eye on the local papers, billboards and websites for specials. There are many bars, clubs and restaurants that offer cheap drinks at certain times of the day or week. 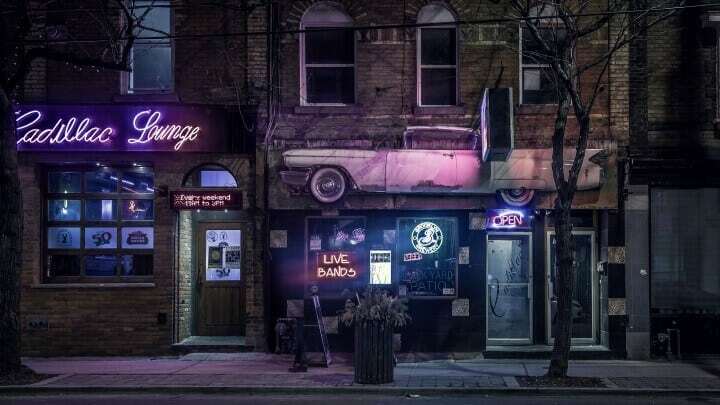 Have a look at the following sites to see what’s on offer in Toronto – Four Square, BlogTo, BlogTo (drinks by neighbourhood), See Toronto Now, Narcityand Drink Owl. Many people prefer to use the buses, subway, streetcars, rail or ferries, rather than sit in traffic and pay high parking fees. Here are some example ticket costs (as of 2018). If you live close to where you work, then enjoy the walk. Internet in Canada is more expensive that the UK but cheaper than the US. Pay-as-you-go plans are generally much more expensive in Canada than other countries and, service providers often charge you for incoming calls. Toronto’s hottest and most humid month is July, with an average maximum temperature of 26°C. January is the coldest month with an average maximum temperature of -1°C. There is generally snow on the ground from December until March and you can expect rain or snow to fall on around 110 days of the years. One of Toronto’s claim to fame is that is has the longest commuting time in Canada and the highest parking fees. If you’re moving to Toronto from within Canada, your Canadian license is valid for 60 days. After that time, you must apply for an Ontario driving license. If you are moving to Toronto from another country, then you may be able to exchange your license without taking a driving test. Depending on which country you are relocating from. If your country isn’t on the list then you will need to take a driving test. Another route is to get International Driving Permit (IDP) before you leave your home country. IDP’s are valid for 12 months and your license will be in English and French. Car sharing or pooling is one way to save money. Try Carpoolworld, Smart Commute, Rideshare, or eRideshare. Taxis can sometimes be a cheaper option, especially if you are going to have to park all day. Try Uber. No matter where you live in Canada, you will pay Federal Tax and then you will pay Provincial Tax which varies from province to province. To learn more about the different taxes go to Settlement.org and the Canadian Revenue Agency. Sales Tax is 13% in Ontario and is added to most goods and services throughout the country. It is not included in the marked price. Tax is added at the checkout and itemised at the bottom of your bill. If you decide to buy a house or apartment in Toronto, you will be subject to provincial land transfer tax and municipal land transfer tax based on the area in which you live and the size of the property you live in. Buyers of property in Toronto who are not residents or citizens of Canada have to pay a non-resident tax of 15% onthe purchase of property. 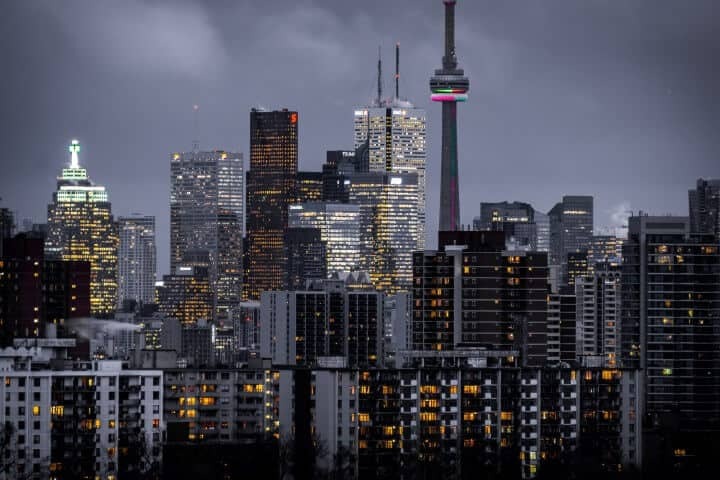 The costs and pricing above should give you a good idea of the cost of living in Toronto but perhaps the following extra tips will make your move go smoothly. Moving anywhere can be a lonely experience, but moving to a new city can be rather daunting. Here are a few tips about settling into Toronto. Meetups: Toronto has lots of free meetup groups you can find at Meetup. Find groups for skating, entrepreneurs, football fans and more. Attend local events: There’s always a lot going on in Toronto. Discover local events through sites such as See Toronto Now, Toronto, Toronto Events, To Do Canada and Timeout. Toronto has a lot to offer families. The beach, winter sports, parks, the zoo, aquarium and museums to name just a few of the activities on offer. Here’s some extra food for thought. New parents (or parents to be): Have a look at the following sites to see what groups are available for new parents or parents to be – Baby and Me Fitness, Regent Park Community Health and Unison. Live in a family friendly area: Toronto is full of family friendly areas with good schools and amenities to match. in Toronto. Allenby and Don Mills have excellent schools and house/apartment prices are reasonable but rental properties are scarce. Deer Park is an upmarket area and great for families but again, rentals are few and far between. Davisville and Humber Summit are both affordable areas with lots of parks and rentals are available. The Beaches and Bayview Village are affluent areas with rental and great places to raise kids. Yorkmills is one of the most sought after and expensive areas in Toronto. It is also one of the safest and has excellent schools and amenities. Find things to do with the kids: Toronto 4 Kids, To Do Canada, Scary Mommy, Alpha Mom and My Little Nomads all have great ideas for activities and events your kids will love. Moving to a new city for work is one of the most common reasons people choose to move. While it is possible to move without a job, it makes sense to ensure there are jobs in your field before you make the move. Toronto is considered the financial and business capital of Canada, therefore jobs in banking, finance and insurance are top of the list. Communication companies are also big employers in the city. Salary: Salaries in Toronto are not as high as other major cities in the world, but the cost of living is lower which compensates for that. The costs we outlined above should give you a rough idea, how much more you’ll want to be making to make the move worthwhile. You can also check salary ranges on sites such as Glassdoorand Payscale. How to find work: If you want to have a job lined up before you move to Toronto, but aren’t sure where to begin, the following sites are good places to start:Monster, Indeed, Workopolis, Toronto Jobs and Wow Jobs. You may also want to google recruiters in your industry, as they can often help land you some initial interviews as well. There’s a large contingent of Australians living in Toronto. Here are a few things to consider if you are thinking of joining them. Size comparison: If you compare the population size of Toronto with the size of a city in Australia, the closest would be a slightly larger version of Brisbane. If you look at the whole Toronto metro, then you would be looking at Sydney. Join expat groups: Internations, Newcomers Canada and Expat.com offer ways of meeting up with other Australians in Toronto. It’s estimated that there are nearly 80,000 eligible US voters living in Toronto, which makes it the city with the third largest population of American overseas citizens. Here a few bonus tips for those of you considering joining your fellow Americans. Size: If you look at the population of Toronto and compare it with a city in the States, the closest in size is Chicago. Expat groups: If you want to meet up with fellow Americans, have look at the following sites – Meetup, Internations and American Women’s Club of Toronto. Size: If you compare the population size of Toronto with a city in the UK, you would need to look at a city which is almost three times the size of Birmingham or a third of the size of London. Expat groups:If you would like to meet other Brits living in Toronto, have a look at the following sites – Internations, Meetup and Newcomers Canada. Hopefully, the tips and costs above are helpful. If want to get started pricing out how much it will cost you to move to Toronto you can start by comparing moving quotes here.